While you may associate stone circles, henges and other megalithic sites with Wiltshire, Cornwall or Scotland, a few have survived here in south-east England. 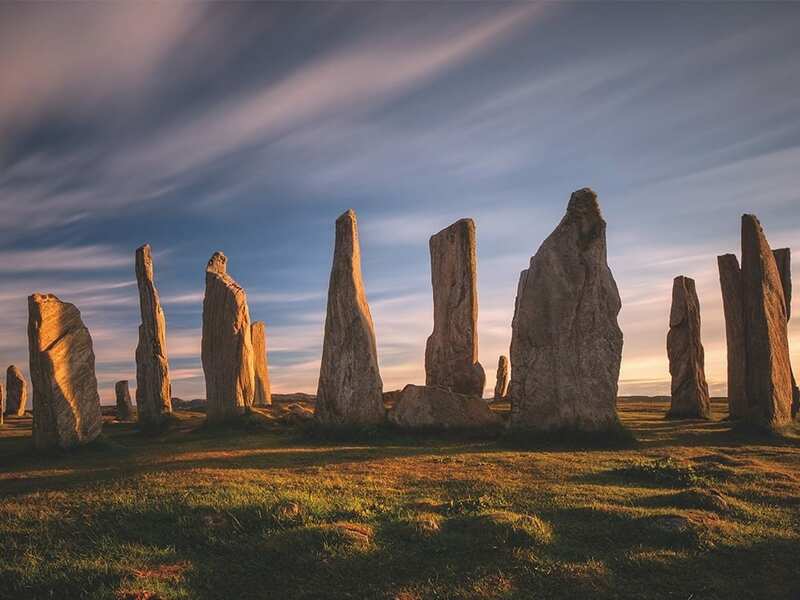 The stone monuments date back to the late Neolithic era, around 4,500 years ago and the earthen round barrows are about 1,000 years younger, from the Bronze Age. fascinating monument and a triumph of the art of reconstruction, this site was extensively damaged by gravel extraction and the construction of an airfield during World War II, when the original bank of the henge was levelled to make way the runway. By 1940, only one stone remained, with others buried near their former positions while the airfield was in use. Careful excavation in the later part of the 20th century provided a complete plan of this 79m (259ft) circle, with its original stone-holes. The henge is huge, with a ditch diameter of 120m (394ft) and entrances at each side. Between 2002 and 2008 the standing stones were re-erected, along with many newly quarried ones, and the great banks and ditches were restored. Once again 36 gravel conglomerate stones now stand fresh-looking and their deep red colour catches the winter sun beautifully. Find it: Just outside Stanton Harcourt village, follow the signs to the recycling centre. Continue until you get to a small parking area on your left opposite a lorry weighbridge, where you can check in and ask for directions to the stones, a pleasant walk of a few hundred metres. and an Iron Age “banjo” enclosure. The bowl barrow is damaged on its northern side by quarrying for flints or clay, but is still 25m (82ft) across and 2m (6½ft) high. The woods are stunning in spring when the bluebells are out. On Setley Plain in the New Forest are three impressive disc barrows, all of them damaged by antiquarian investigation in the 18th century. The ditch and outer bank of the north-western barrow are interrupted by the bank of one of the others so they overlap, which is unusual. Dating from around 250BC, Cissbury Ring is the largest Iron Age hill fort in Sussex and the second largest in England, covering some 24 hectares (60 acres). Partially enclosed within its ramparts are much older (Neolithic) flint mines. When the mine shafts were excavated in the 1870s, three of the 13 investigated were found to contain rock art and carved chalk blocks. Further prehistoric art was found in another shaft excavated in the 1950s, suggesting once again that there was more going on here than the simple extraction of chalk. The site’s name probably comes from 16th-century attempts to associate the fort with the Saxon chief Cissa. Discreetly sited in a copse beside the road, this is a very ruinous but impressively atmospheric tomb. Green with moss, only three stones remain, one nearly 2.7m (9ft) tall, the others 1.5m and 0.9m (5ft and 3ft). In 1925 there were six stones and a mound, but there’s no sign of the mound or the three missing stones now. At Midsummer’s Eve, it is said, the largest stone goes down to the village to drink, or alternatively to the brook at Woodford. Another story depicts the stones as an old man, his horse and his dog, all turned to stone. Still another has it that a ghost has been seen walking from the tomb north toward the village. Some 42 barrows have been identified in the Lambourn valley, with a group of ten (the “Seven” Barrows) running in two parallel rows near the road, clearly visible. They are mostly bowls, but there are some disc and saucer barrows, and a long barrow. Some were found to hold intact burials, some cremations. Grave goods included various flint arrows and a small, polished, rectangular jet pendant, with a hole that was smoothed, showing it had been worn. The three Rollright sites are linked in folklore through the famous tale, first mentioned in brief in William Camden’s Britannia (1586), of the would-be king of England who was turned to stone by a witch, along with his knights and foot soldiers, when seven strides failed to reveal to him the village in the valley below. In 2015, the media seized on the discovery of a female skeleton, buried below an Anglo-Saxon ritual spoon (patera), as proof of the existence of Long Compton’s witch – although “Rita” (as she was dubbed) actually lived some three millennia after the raising of the circle. The Rollright Stones still have a strong draw for modern Pagans and ceremonies are regularly held here. The King’s Men are interestingly weathered, oolitic limestone stones positioned in a 33m (108ft) ring, smoother sides facing inward. Comparisons of antiquarian drawings and lichen analysis reveal many of the stones have been moved and re-erected over the centuries. It is thought they originally formed an almost continuous wall of some 80 uprights, built around 2500BC. The stones are thought to be of local origin. There were tales of the King’s Men returning to life, linking hands and dancing at midnight, and they were also said to go down to a well at Little Rollright to drink – as did the petrified king himself at the sound of the church clock striking 12. Perhaps 1,000 years separate the building of the circle from the raising of the King Stone, now found across the road (SP 2962 3095). This 2.5m (8ft) standing stone may have been a marker for a Bronze Age cemetery. The stone’s odd shape was caused by the historic practice of chipping off pieces as good-luck charms and amulets against the Devil. It was protected (along with the other Rollright sites) by the first Schedule of Ancient Monuments in 1882. The King Stone was known in local legend as the meeting place of Long Compton’s witches, and was also said to mark one of the entrances to the fairy halls under the circle. The Whispering Knights (SP 2993 3084), 357m (1,171ft) east of the stone circle, predate the King’s Men by 1,000–1,500 years. Legend tells how the knights were turned to stone as they plotted against the king. It is said that women used to question the Knights, pressing an ear against a stone to receive their oracular wisdom. 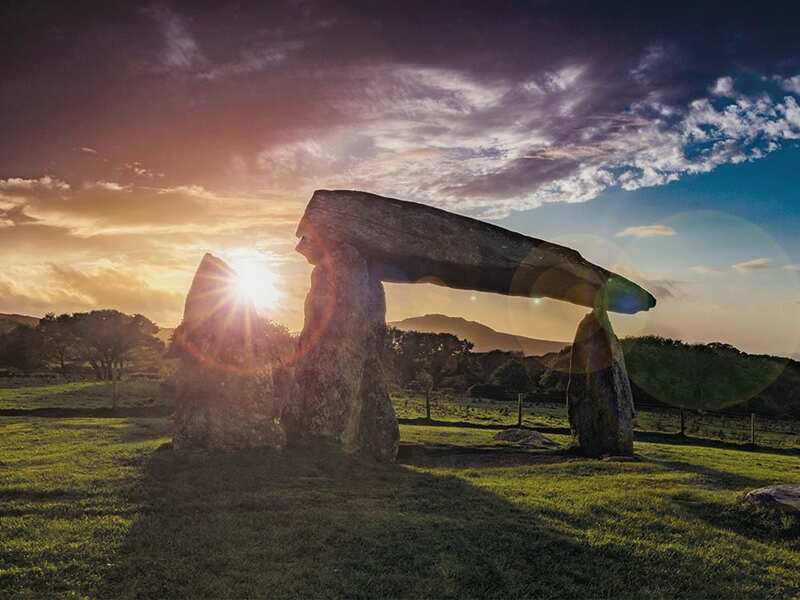 You can find many more on our Megalithic Portal at www.megalithic.co.uk – look for the ‘Find a Site’ menu to get close to prehistory on your doorstep. 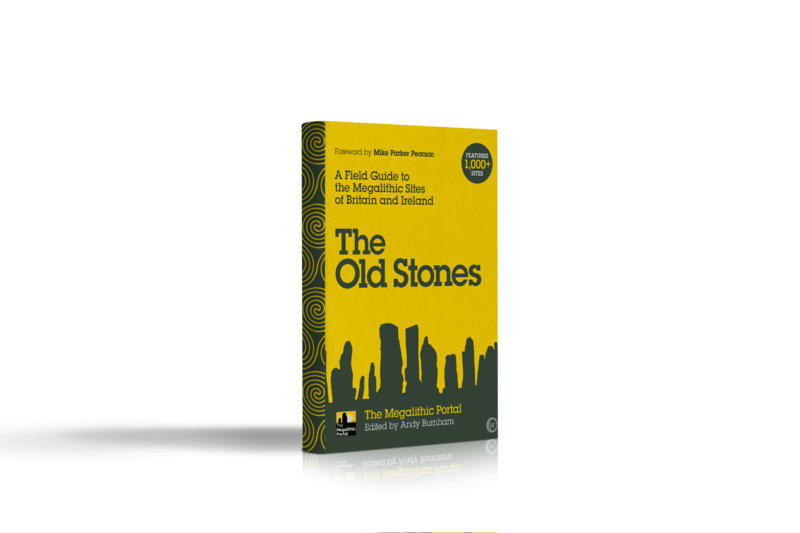 Andy Burnham is the author & editor of The Old Stones: A Field Guide to the Megalithic Sites of Britain and Ireland, published by Watkins and out now.